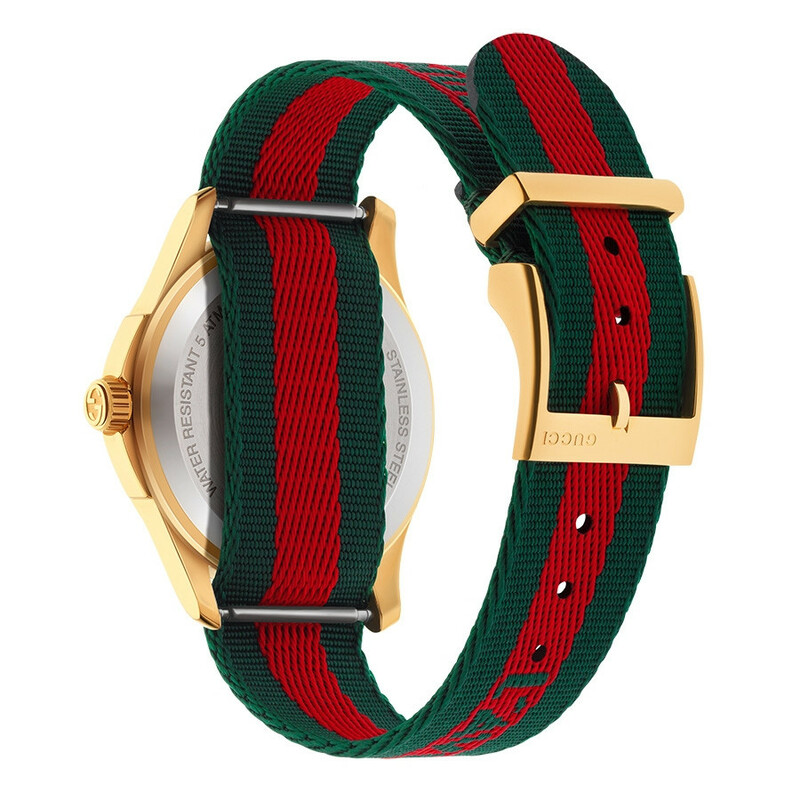 A gold Gucci bee motif sits at the center of this watch, embroidered on a red and green nylon that continues along the strap. 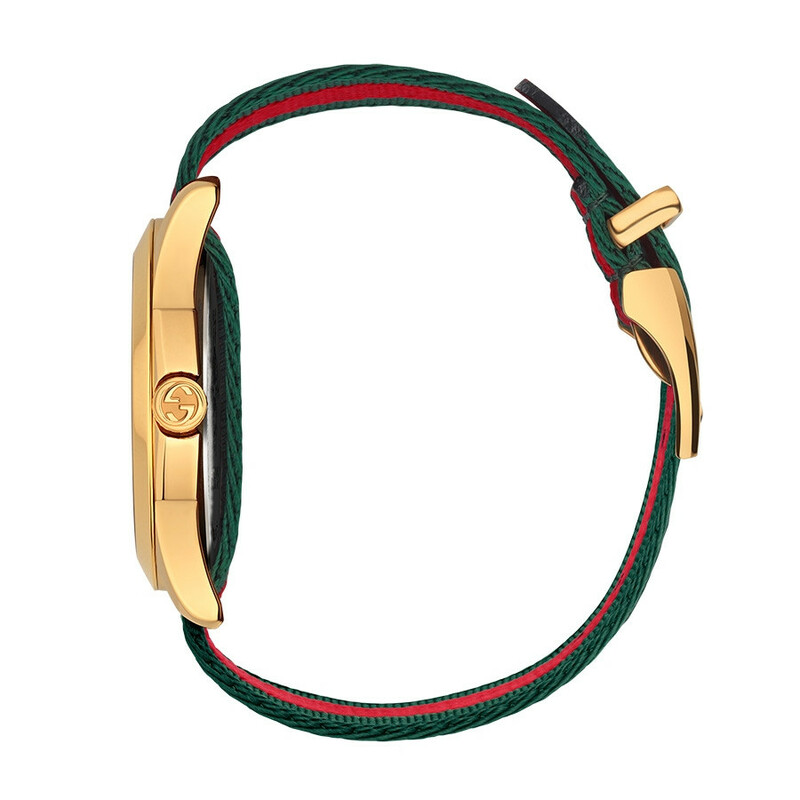 This Gucci Le Marche Des Merveilles watch showcases the symbolic Gucci colors, red and green. The unisex Gucci watch is trendy and luxurious, sure to be an alternative piece among your accessories and wardrobe. Adjustable Band 6.65" - 8.30"